Diplomat’s Excellence Rhombus, a cartridge/converter fountain pen, arrived a couple of weeks ago, and you’d be hard pressed to find me reaching for any other pen. I own a few other Diplomat pens — from the economy model Magnum Soft Touch to the higher-end Aero—and I’ve been consistently impressed with this German company and their pens, no matter the price. That streak of good feeling continues with this Excellence Rhombus model. 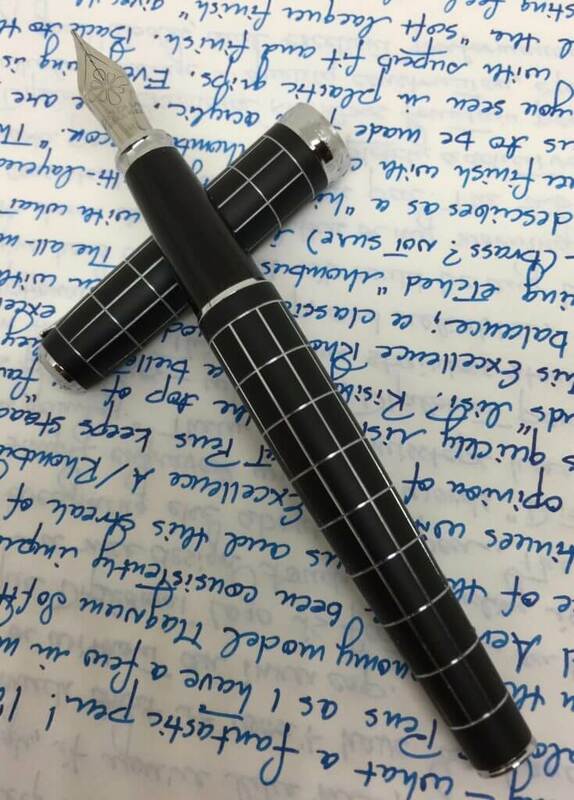 A classically shaped fountain pen, the Excellence Rhombus features a fresh-looking geometric design. The all-metal body is coated with what Diplomat describes as a “high quality, multi-layered soft lacquer finish.” This matte black finish has a very interesting feel — soft and “grippy”— and plays nicely with the chrome appointments. I wasn’t a geometry whizz in high school by any means, but I don’t believe these geometric shapes are technically rhombuses (rhombi?) as those are supposed to have equilateral sides, but who cares? The grid design is laser-engraved which adds both visual and tactile interest. 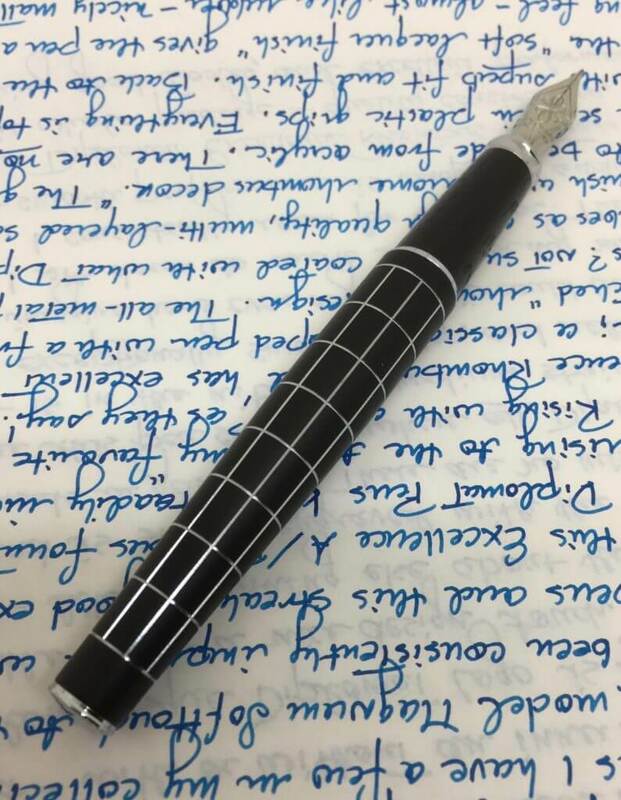 You’re able to actually feel the design on the pen. To my eye, this pen possesses classic and understated good looks, with enough “pop” to catch your interest. 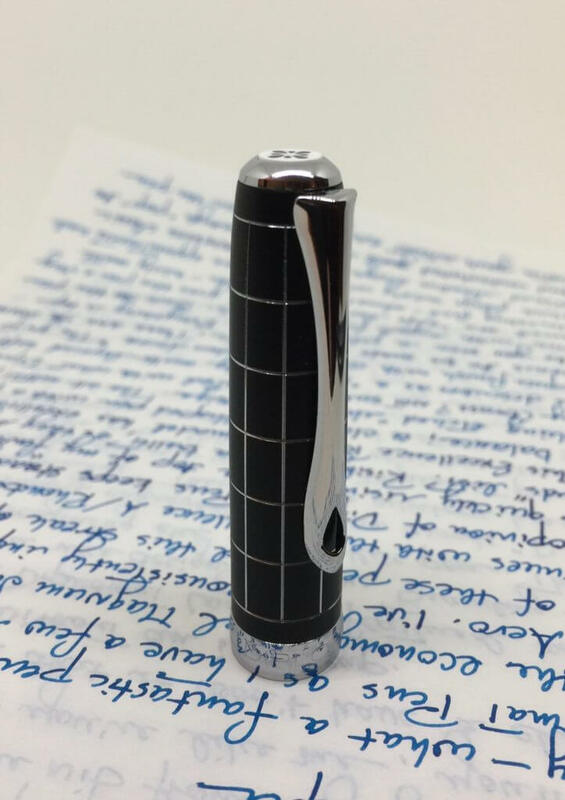 The capped pen weighs 42.5 g which is certainly substantial but not cumbersome. I choose to use the pen unposted (14.1 g), but it’s quite comfortable either way, with nice heft and very good balance. Though I haven’t been able to confirm this, the grip section of the Diplomat Excellence Rhombus appears to be acrylic, as there are no seams like the ones you typically see on molded plastic. The cap snaps on and off with a satisfying “CLICK.” It’s sturdy and secure. 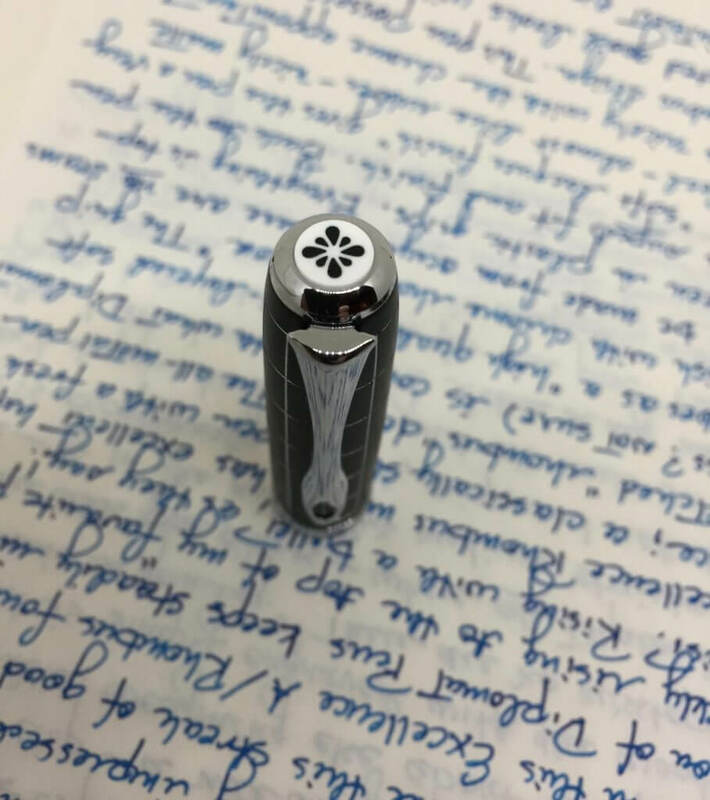 There’s an inner liner in the cap that, presumably, prevents the nib from drying out in-between uses. The materials and workmanship are top-notch with superb fit and finish. Simply put, there’s no doubt that you’re holding quality in your hand. The clip is springy, with very good tension, and sports the teardrop shaped cutout that’s a feature on many Diplomat pen models. Branding is tasteful and unassuming — from the iconic Diplomat logo on the cap and nib, to the words “DIPLOMAT” and “made in Germany” engraved into the cap’s metal band. The pen’s looks, heft and build quality are all impressive, but where this pen truly shines is in the nib. It’s FANtastic. The medium stainless steel nib on my pen is exceptionally smooth, crisp, and reliable, with just the tiniest hint of spring. 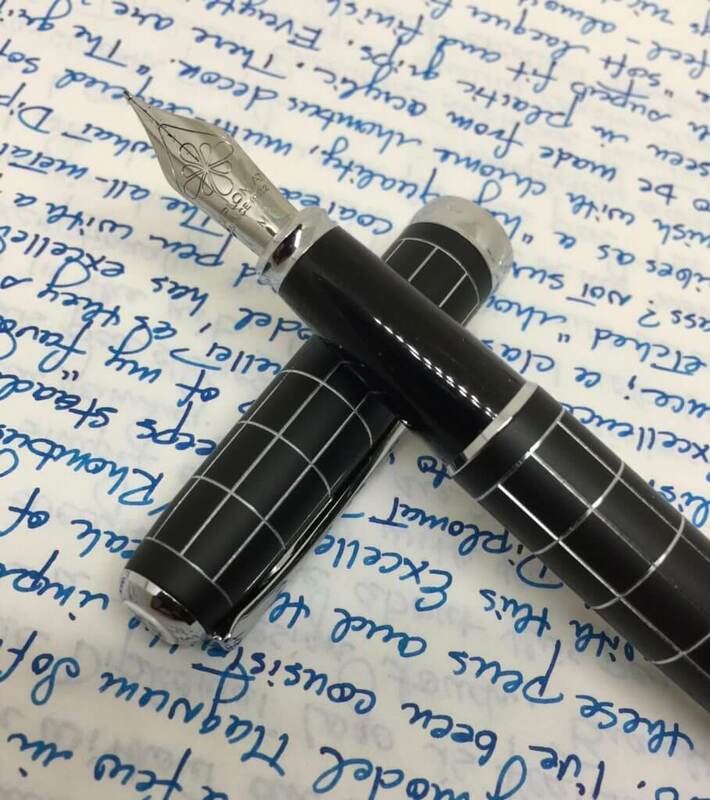 It writes like a dream. 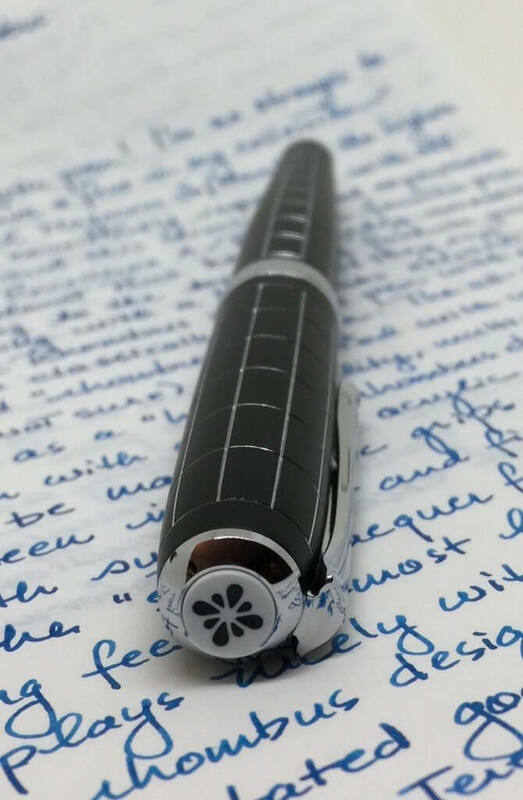 That’s why I’m picking this pen up every morning when I journal, and again in the evening, when I sit down to write letters. I now own four Diplomat fountain pens and have been impressed by the consistency and quality of the nib on each and every model. The ultra-smooth performance of this nib is completely addictive and has bumped the Excellence Rhombus to a top spot in my list of favourites. 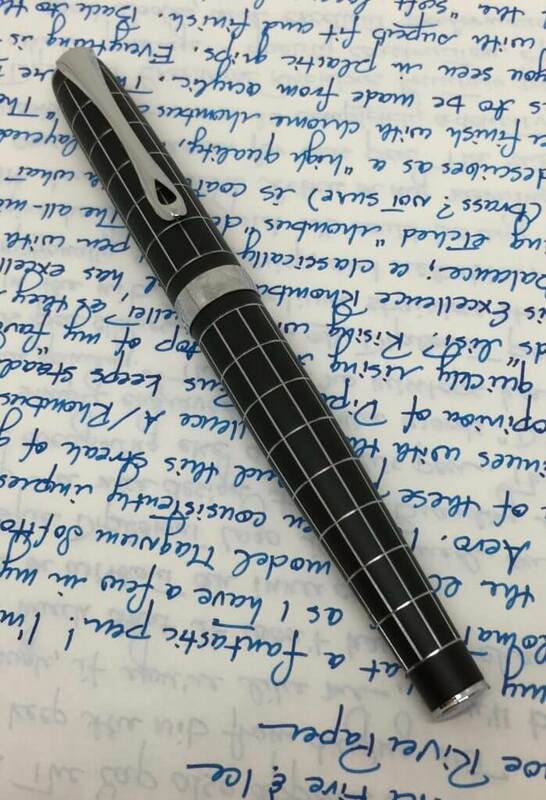 The Diplomat Excellence Rhombus fountain pen lives up to its name. There’s excellence in this pen’s quality construction, eye-catching good looks, and superb nib performance. A maker of pens since 1922, Diplomat has clearly perfected the science and art of putting together a pen that’s a joy to look at and use. Excellence and joy—that’s a winning combination.